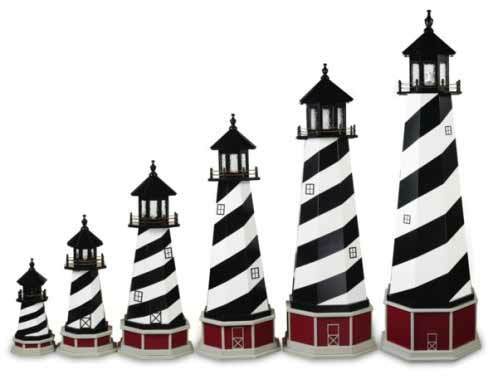 Our Hybrid ornamental lighthouses are crafted by local Amish craftsmen using superior quality materials. 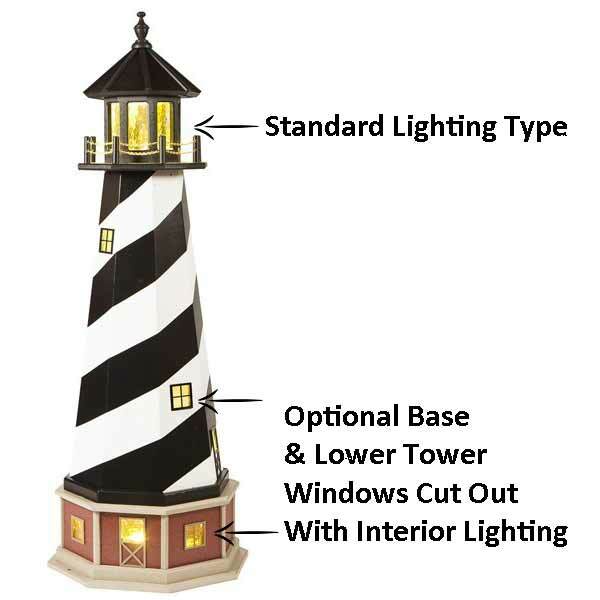 Each hybrid lighthouse is constructed with a poly top, a wood tower, and a poly base is optional. Poly is the best weather resistant material preventing rot, decay, splintering or color fade. 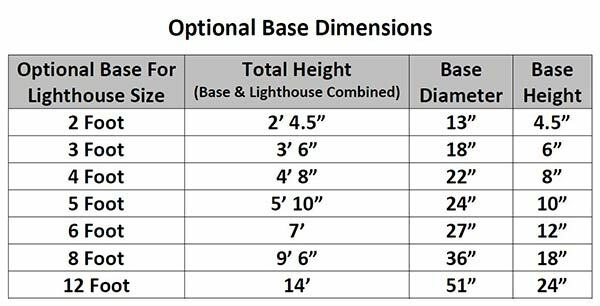 Since the top and base of the lighthouses are the first to feel the effects of weather, the Hybrid gives you a product that will last considerably longer than a standard wood lighthouse, while giving more flexibility with the tower design than All Poly lighthouses. For example, the Cape Hatteras Stripes are not possible to produce in an all poly model, but are made available through the use of a wood tower on the hybrid model. Because the top and base of the HYBRID lighthouse are solid poly and the center tower is exterior grade wood, over time the painted center tower colors may fade and no longer match the poly base or top colors. 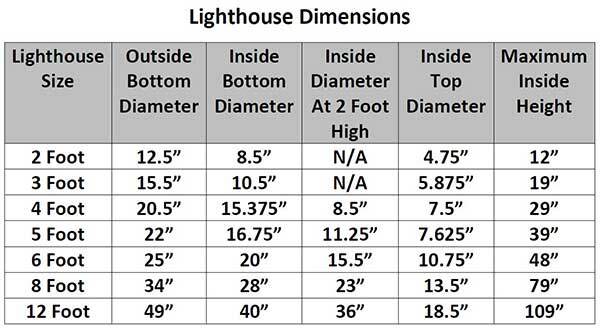 Lighthouses come equipped with standard electrical lighting with 25 watt bulb, other lighting options available. Please Note: When choosing Lighthouse colors, the Primary Color will be the one which you have the most of on the tower; the Secondary Color will be the one you have less of on the lighthouse tower. When choosing Lighthouse Base colors, the Primary Color will be the one in the rectangles, the accent color will be the trim on the base.